FLORENCE, S.C. –McCall Farms will invest $35 million in another expansion, called “Project Veg 3,” that will create 150 new jobs in Florence County. On Thursday, the Florence County Council moved forward with a fee-in-lieu-of tax agreement for the code-named project, which is a common move by the county that allows for a lower tax rate for these types of economic development projects. County officials would not name McCall Farms at the investor, but the Morning News was able to confirm the information through multiple outside sources. Council Chairman Kent Caudle said this type of progress should be no surprise to the people of Florence County. The ordinance includes a $250,000 economic development grant to the company for this project. Last year, McCall Farms announced a $23 million expansion that will ultimately create 150 new jobs as well. County documents indicate this expansion would be a $35 million investment that would result in 150 new, full-time jobs by 2020. That expansion entails three new facilities and a ramp-up in production by 2019. 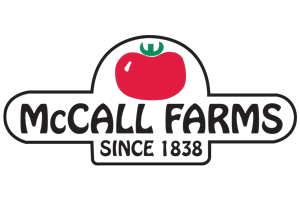 Last month McCall Farms announced its acquisition of Sager Creek Vegetable Company, a division of the San Francisco-based Del Monte Foods Inc. Popular Sager Creek brands include Allens, Veg-all, Popeye, Princella, Freshlike and Trappey's. No other details about “Project Veg 3” were made available to the Morning News, and representatives with McCall Farms were not available for comment. The council's approval of the tax-agreement ordinance on Thursday came on the second reading; it will go to a third vote at next month’s council meeting. The council unanimously moved forward with an ordinance that would allow funding for a $15 million parking garage. If fully approved next month, the measure would refinance debt on an existing facility and use that refinanced bond to build a parking garage adjacent to the county complex on Irby Street. The council also approved on second reading an ordinance to amend the second penny sales tax to “address allocation of additional revenues” of the tax. This amendment would allow the county to spend additional revenues on “like” projects that were not laid out in the original tax ordinance. Another code-named economic development project – Project Presto – was introduced by the council. No details were provided about this forthcoming project.